Are Machines Stealing Your Job: How AI Is Impacting The Translation Industry? Should language translators be concerned about their future careers? With the increase in automated machine translation tools and the rapid advancements in artificial intelligence, language translation agencies look set to replace linguists with technology. But that may not necessarily be the case. Whereas machine learning poses a threat to a growing number of industries, artificial intelligence (AI) has the potential to revolutionize workforces in numerous professions and create jobs. The naysayers point to the downturn in human involvement within the automobile industry and agriculture. Manufacturers are also starting to replace manpower with deep learning machines. 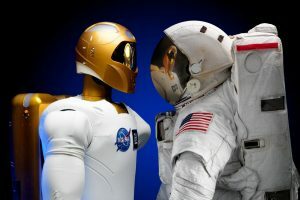 The progress being made in the field of AI has given rise to debates regarding the physical and economic impact automation will have on society. It is inevitable that unemployment will rise sharply. A joint study conducted by Oxford University’s Department of Engineering Science and Oxford Martin School estimate that 47% of jobs in the US could become the role of robots. The research revealed that jobs in transportation, logistics, the service industry, office and administration support are all likely to adopt automation technology. But it’s not only uneducated and low-to-middle skilled workers that are at risk of losing their jobs to machines. The language translation industry is a case-in-point. But the wave of destructive technology does not end there. Deep learning machines are also being used in the field of medicine, E-discovery in the legal translation sector and various aspects of journalism. But for all these industries, AI technology could provide a real boom. Artificial intelligence may radically change the landscape of industry, but this is not the first epoch where humans have faced the threat of mass redundancies. History shows that because machines increase efficiency in industry, technology ends up creating more jobs. During the industrial revolution of the 18th Century when textile workers were replaced by Luddites, there was widespread concern that machines and steam engines would desecrate people’s livelihoods. Yet the machines actually created more jobs for weavers. The entire manufacturing process was improved so factories could produce more merchandise for less cost allowing them to reduce the price of clothing. Consumer demand rose and jobs for weavers quadrupled in 70 years. There were similar concerns when banks began installing automated teller machines (ATM) in the 1980’s. Whilst banks initially handed out redundancies, ATM’s reduced the running cost of a single branch which enabled banks to open more local branches in response to customer demand. As a result of additional branches, more jobs were created. In the present moment, language translation is flourishing thanks to machine learning. The increase in demand for localisation and marketing translations has exploded in recent times thanks to the widespread reach of the internet. As companies expand into foreign territories, there will be even greater demand for digital content to be translated. Reports show that 46% of consumers are more likely to purchase from a brand when the advertising is presented in their native language. Machine translation tool may help to speed up the translation process, but AI is still behind human capacity to understand the subtlety of language. Pessimists may argue it’s only a matter of time before deep learning can produce the same results as a linguist. But machines will also create more jobs for linguists. As it becomes more essential for companies to communicate with cross-border audiences, there will be a higher demand for more content to be translated. We are already beginning to see linguists adopt new roles within the translation community. As machine translation becomes more sophisticated, a new service has emerged which involves post editing machine translations. The task consists of high-quality machine translation being proofread and edited by trained linguists. As a result, language translation providers can produce work at a quicker rate and at a lower cost than customers are currently prepared to pay. Lowering service charges will invite higher demands from companies and create more jobs as proof readers for linguists in translation agencies. Whilst this prediction is only speculation at this point, a precedent has already been set which offers an insight into how the translation industry may look in the non-too-distant future. Over the last 20 years, the biggest beneficiaries of machine learning have been advocates of the legal sector. AI has been instrumental in cutting down the amount of time it takes paralegals to build cases through the ‘discovery’ process. Machines have created a new service known as e-discovery whereby computers have taken on the role of filtering thousands of documents, emails and transcripts that are relevant to a legal dispute. When performed by humans, the discovery process can run into thousands if not millions of pounds. Electronic methods have significantly reduced the numbers. Furthermore, computers are almost twice as accurate at identifying relevant documents. However, machines have also had a positive effect on employment rates in the legal sector. Rather than paralegals and solicitors joining the ranks of the unemployed, over 50,000 legal support workers and 250,000 jobs for lawyers have been created in the United States. Automatic machine translations may promise a future of universal understanding, but the technology we have today is still primitive. Technology is still some way behind the human capacity to translate language accurately. Although predictions within the industry believe AI could replace translators by 2020, the reality will probably prove disappointing for end-users that mostly rely on accurate translations. Hence, why translators are more likely to take up positions as proof readers and post editors. Machine translation technology predominantly translates word-for-word, much like humans do when we first start learning a new language. But as any linguist knows, there are drastic differences in linguistic norms that are created through grammar and sentence structure. Andrey Styskin, the head of search service quality for Russian tech giant, Yandex underscores some of the problems automated machine translation software has capturing and transforming the subtlety of language. At the moment, the best results machine translation technology can produce is the best statistically proven version of previous translations. This will help companies formulate scripts they want translating, but it won’t replace the need for human intervention. As we discussed in a previous article, the role of the modern linguist involves a skillset that goes beyond language translation. Specialist knowledge in marketing, medical and legal sectors is already prevalent and with the increase in digital jobs, additional computer skills are required. Let’s take a look at the facts: Translation is a global commodity and as more companies expand into global markets through the internet, the demand for translations increase. Furthermore, translations are not only limited to international corporations with a global reach or a physical presence in overseas markets. The internet enables small businesses to reach a foreign audience without needing a physical presence in overseas countries. It is estimated that the majority of online transactions will happen in the cloud within the next decade. As more small businesses become global the demand for translation increases even more. As a result, companies will want affordable translations fast. Because machine translation software significantly reduces the processing time to carry out a translation, a language translation agency will be able to provide a service that meets customer demand. Without translations, global business would falter. The language translation industry has no option other than to embrace translation technology. But it must also evolve to create jobs for multi-skilled employees. Marketing will be the sector that expands the most within the translation services community. We’ve previously mentioned post editing. Copywriting and online content will continue to grow as well, and it is often the case that blog content is not always relevant across cultures. Therefore, new content will be required for the target company. Video editing is another skill linguists could learn to enhance their profile in marketing. With more people accessing the internet on mobile devices, the requirement for affordable visual media will be in high demand. Furthermore, companies will need brand managers that are capable of translating product descriptions and other marketing communications together with engaging foreigners on social media. Brands not only need translations, they ned the resources that enable them to act fast. Automated machine translation may appear as a threat to linguists in the current climate, but once the translation industry recognises the opportunities for exponential growth and adapts its business models accordingly, language translators can turn a perceived threat into a new opportunity. The world is changing, and all industries have to change with it. PREVIOUSWhat does the future of the translation industry look like?